You who bring good tidings to Zion, go up on a high mountain. You who bring good tidings to Jerusalem, lift up your voice with a shout, lift it up, do not be afraid. Say to the towns of Judah, "Here is your God!" See, the Sovereign Lord comes with power, and his arm rules for him. His reward is with him, and his recompense before him. He tends his flock like a shepherd; he gathers the lambs in his arms and carries them close to his heart; he gently leads those that have young. Through him all things were made; without him nothing was made that has been made. In him was life, and that life was the light of all people. The light shines in the darkness, but the darkness has not understood it. There came a man who was sent from God, whose name was John. He came as a witness to testify to that light, so that through him all people might believe. He himself was not the light; he came only as a witness to the light. The true light that enlightens everyone was coming into the world. He was in the world, and though the world was made through him, the world did not recognize him. He came to that which was his own, but his own did not receive him. Yet to all who received him, to those who believed in his name, he gave the right to become children of God--children born not of bloodlines, or of physical desire, or of a husband's will, but of God. 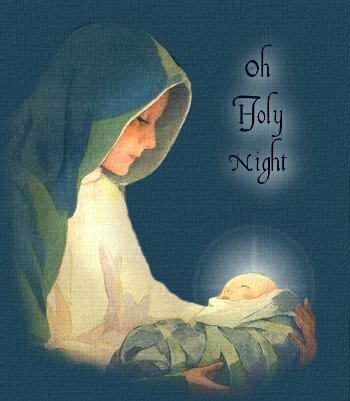 The Word became flesh and made his dwelling among us. We have seen his glory, the glory of the Father's only Son, full of grace and truth. John testifies concerning him; he cries out, saying, "This was he of whom I said, 'He who comes after me has surpassed me because he was before me.'" From the fullness of his grace we have all received one blessing after another. For the law was given through Moses; grace and truth came through Jesus Christ. No one has ever seen God, but God the only Son, who is close to the Father's heart, has made him known. The Christian Church accepts the Lord's divinity, but not his divine humanity. So when they think and speak about the Lord from doctrine, they separate his humanity from his divinity, and consider his human side to be like the human nature of any other person. Yet the divine is in his human side just as the soul is in the body.... Believing in an invisible divine is not very different than believing in the deepest levels of nature--an error that our mind easily falls into when we indulge in our own illusions. But a continual inflow from heaven ingrains in all of us a desire to have our own view of the Divine--and further, to see the Divine in a human form. We began our Advent reflection last week with a look at the Swedenborgian Church's view of the Lord Jesus, and who he was and is. Our focus was especially on how our views contrast with what might these days be called a Fundamentalist view of Jesus Christ. But I left a loose end in last week's sermon, because I said that it is good to look at our views of Christ both as they compare with Fundamentalist views and as they compare with more humanistic views of who Jesus was. This week I would like to tie up that loose end by addressing this question: Was Jesus divine or human? We did not read the Nativity story this week, since that is usually reserved for a little closer to Christmas. But it is a familiar story. It begins when an angel announces to Mary that she is to have a child, even though she has not "known a man," in that most delicate of Biblical euphemisms. Mary is understandably surprised at this. But the angel tells her, in essence, that this child will have no human father; rather, he will be the Son of God. If we step back and think about it, it is quite a tall order to believe this! Those of us who grew up Christian have gotten used to the idea that God, rather than Joseph, was Jesus' father. But there are many people who either did not grow up with that belief, or who have left it behind as adults. And many people in our culture simply do not think about Jesus very much. They're too busy doing other things. However, other people do spend time thinking about the central figure of Christian belief--and they can find plenty of reasons to dismiss the "Divine Jesus Theory" as a myth and as religious wishful thinking, or even delusion. For one thing, Christianity is not the only religion that has divinely fathered (or mothered) humans in its belief system. Greek and Roman mythology are full of gods and goddesses (mostly gods) "knowing" human beings, resulting in divine/human hybrids. The myths of other cultures have the same theme. And we find this belief in Eastern religions as well. For a skeptic, the idea that God was Jesus' father is just another one of those myths that religions come up with to give stature and authority to their important figures. Hardened atheists often ridicule Christians' belief in a divine Jesus; and their ridicule of Christians spills over into ridicule of Christ as well. But others take a softer stance. Many atheists and agnostics simply do not see the need for any belief in God or Christ, but they don't bother arguing about it. And there are many people who do believe in God but cannot see Jesus as anything other than a human being--perhaps a great, inspiring, and charismatic human being, but a human being nonetheless. For those who are satisfied with their beliefs and who are building a good life for themselves and those around them, we can accept their right to believe as they wish, and to live according to their beliefs. Our church's view is that people of all beliefs can be saved if they look to something higher than themselves, and do their best to live a good life according to their beliefs. So as I said last week, we need not join with the Evangelicals in fearing for the souls of everyone who has not accepted Jesus in a literal way. And yet, from our perspective there is something missing from a belief that does not see the divine nature of the Lord. Our church is Christian in the strongest sense, since we worship the Lord Jesus Christ as both our Savior and our God. And although we are not all theologians--and most of us don't spend a lot of time exploring the deeper theological mysteries of God, Jesus, and the Incarnation--still we have reasons in our hearts and lives, as well as in our minds, to turn to the Lord Jesus as our God. As we approach the Lord's birth, let's look a little further at one or two of these reasons. Our reading from Swedenborg gives us some direction for our thoughts about Jesus. He was speaking of the Christianity of his day when he said that the Christian Church accepts the Lord's divinity, but not his divine humanity. Yet even among the mainline Christians of today, there is some difficulty in finding a coherent view of just who Jesus was. As mainline Christians move away from the harshness of fundamentalist Vicarious Atonement theology of the type I referred to last week, they have been groping for a theology that will satisfy their minds in the way that the Jesus of Scripture satisfies their hearts. Many mainline Christians teeter on the edge of the question of whether Jesus is truly and fully "God with us," or whether he is somehow a lesser being than God the Father--perhaps with a divine spark from God the Father within, or, at the edges of Christian belief, perhaps a human being who was especially filled with God's spirit. Many of our Unitarian Universalist friends have moved entirely over to the belief that Jesus was simply a great prophet and seer among other great prophets and seers. Swedenborg comes at this question from two basic directions: the earthly, human perspective and God's divine perspective. From the earthly side of things, he points out that if our God is an invisible one--the greatest, creative force in the universe, perhaps--then we are not far from a belief in God as a blind and impersonal force at the deepest levels of nature. Perhaps, as Star Wars fans would say, "The Force is with us." But it is hard to have a real relationship with an impersonal force at the deepest levels of nature. Still, this is, perhaps, as far as we human beings can reach without the Lord's help. In fact, this is exactly the way C.S. Lewis put the situation in one of his books that was mentioned in a recent "Talk of the Nation" program on National Public Radio. (Unfortunately, I have not been able to track down just which book it is.) Lewis uses the analogy of a play--say, one of Shakespeare's plays--to illustrate our situation in relation to God. As the character Jaques says in Shakespeare's play As You Like It, "All the world's a stage, and the men and women merely players." Now, consider the position of the melancholy Jaques in relation to his author. Would it be possible for him to get to know Shakespeare personally? Could Shakespeare cheer the poor fellow up a bit? Apparently not. For Jaques cannot break out of the play and into the wider world in which Shakespeare, his author, lives. But C.S. Lewis finds a way around this problem. What if Shakespeare were to write himself into the play? Then he could meet not only the melancholy Jaques, but Hamlet, Romeo and Juliet, and a host of other characters that he created. To adapt a Biblical saying, "For the characters this is not possible, but for the author all things are possible." The real saying, of course, is "with humans it is impossible, but for God all things are possible" (Matthew 19:26, Mark 10:27). And this completes the connection between C.S. Lewis's analogy and our own situation in relation to God. As I mentioned before, we as human beings probably could not make it much farther than conceiving of some great and powerful force at the deepest levels of nature that gives rise to all that exists and somehow controls it from within. But the grand vision of both our readings, from Isaiah from the beginning of John's gospel, is that God, from his side, has something far greater to show to us than an impersonal force at the depths of nature. A skeptic would say that we humans make God in our image, and that is why we think of and depict God as a human being. That is the earthly, human perspective. But God's perspective is just the opposite. God is not human because we are human; we are human because God is human. And the simplest, yet deepest and most satisfying reason God came to earth as a human being is that, like Shakespeare writing himself into one of his plays, by coming to us as Jesus Christ God accomplishes what we cannot accomplish: God bridges the gap and makes it possible for us to have a personal, thoughtful, and loving relationship with our creator. This is something that no impersonal force, no electron or quark or muon, no abstract uncaused cause can offer. For we human beings are not simply abstract minds walking around with a body attached. We are beings who have both thoughts and feelings, beings of emotion and belief, faith and action, spirit and body. And we are made this way for a reason: we are human beings because we are created in the image and likeness of a God who is human at a level far beyond our own humanity. We have emotions and beliefs at the core of our being because the core of God's being is pure love and pure wisdom. And so we return to the question that got us started: "was Jesus divine or human?" The answer, from a Swedenborgian perspective, is "Yes." Jesus was (and is) divine and Jesus was (and is) human at the same time. This is not an either/or situation, but a both/and situation. Jesus Christ was God's own divinely human nature taking physical form as a human being. And now Jesus Christ continues to be our personal God and Savior--one with whom we can have a relationship as both our Master and our Friend. Next week, as we continue moving closer to our celebration of the Lord's birth, we will look more closely at the Lord's divine humanity as expressed in the birth and life of Jesus. Meanwhile, as our hearts and minds move closer to that blessed event, we can each know and have faith, through both the Bible and the teachings of our church, that the Lord is an infinitely loving and wise human being, who has come to us to share in our lives. Amen.